For an equilateral triangle, you certainly want all the lines to be equal in length, since that’s the definition of an equilateral triangle. You might also want to maintain its bottom side horizontal (to the X axis). Click the Ortho Mode button on the Status bar. Click to specify the center of the triangle. Choose either the Inscribed in Circle or Circumscribed about Circle option. Move the cursor up or down from the center (depending on the option you chose in the previous step) so one side is parallel to the X axis and click to specify the triangle’s size. 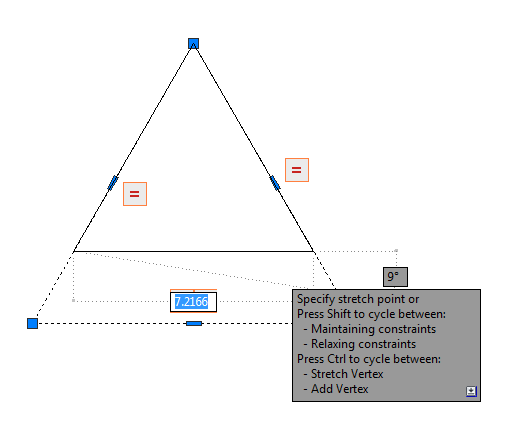 Click the Parametric tab and choose Autoconstrain in the Geometric panel. At the prompt, select the triangle and press Enter to end the command. 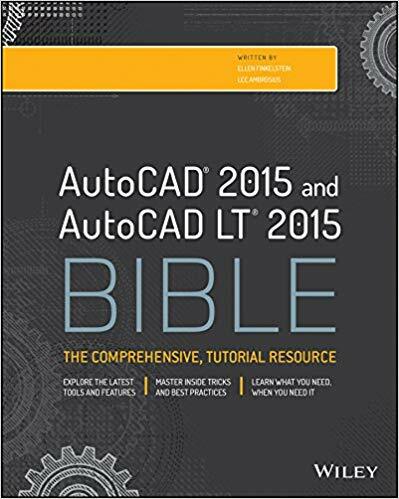 AutoCAD only adds a horizontal constraint to the bottom line. Again in the Geometric Panel, click the Equal button. Choose the Multiple option. 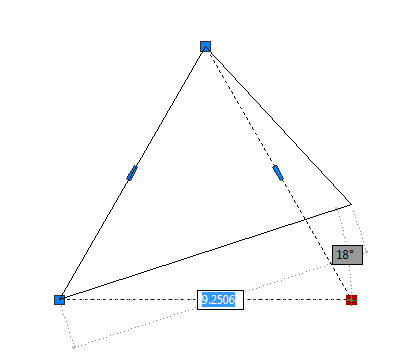 Then select all 3 lines of the triangle and press Enter to end the GCEQUAL command. Select the triangle and click either of the 2 bottom grips. Try moving it. You’ll see that no matter what you do, you’ll always get an equilateral triangle with its bottom line horizontal. (You might need to choose Stretch Vertex from the options near the grip, depending on your release of AutoCAD.) The top grip will just move the triangle. What else can you do with parametric constraints? 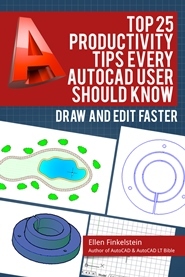 How do you use parametric constraints to help you when you edit drawings? Here are 2 tips on keeping the integrity of a rectangle. I love these tips! Trying them out will teach you a lot about parametrics and dynamic blocks.